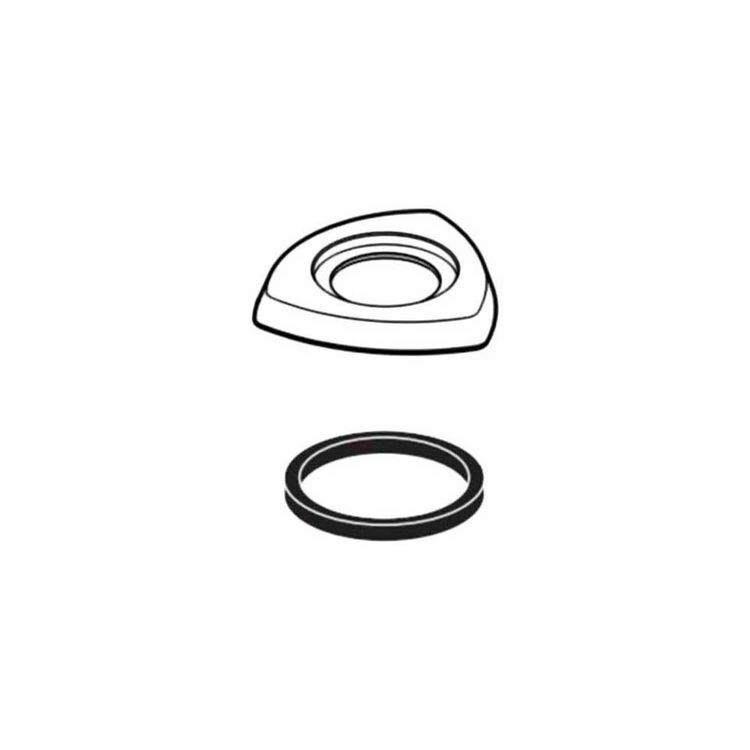 The Delta RP84831PN is a handle base with a gasket. It comes with a polished nickel finish. This handle base with a gasket completes the RP84834 handle kit and compliments the T2774 Roman tub faucet spray.